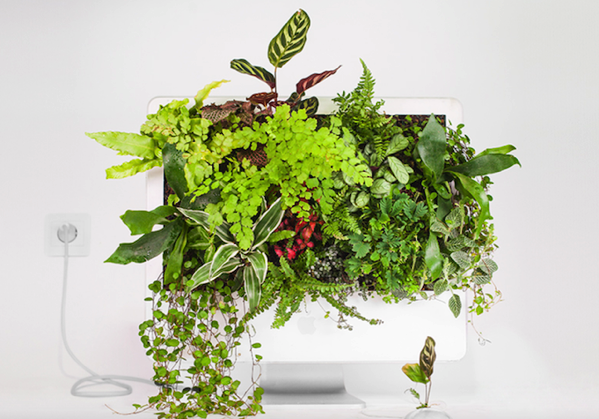 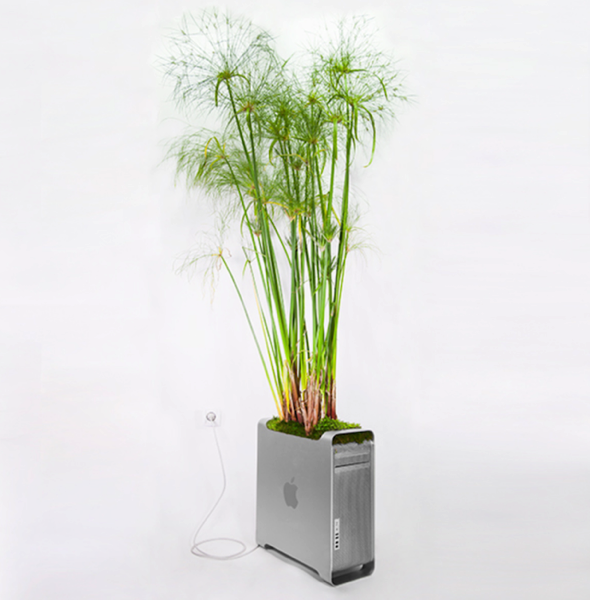 Parisian artist Christophe Guinet’s latest project “Plant Your Mac!” is aimed at converting some classic Apple products into tiny gardens, including machine like the Macintosh Classic, the iMac G3 and G5, all of which have been used to house a selection of lush, exotic plants in unusual, imaginative ways (via Engadget). 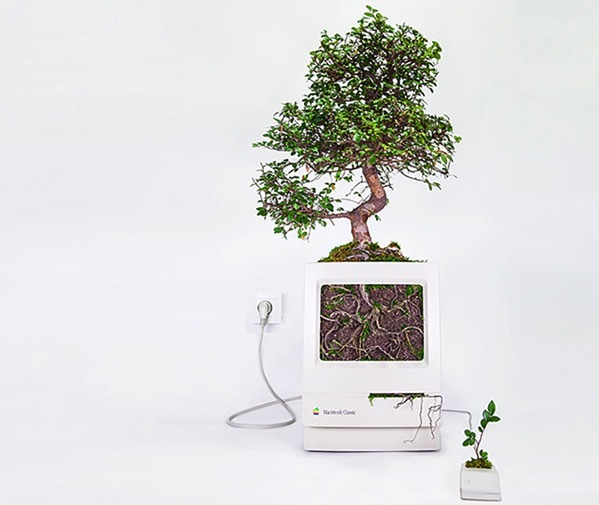 The old Macintosh Classic (shown above), has a small bonsai tree sprouting out of the top. 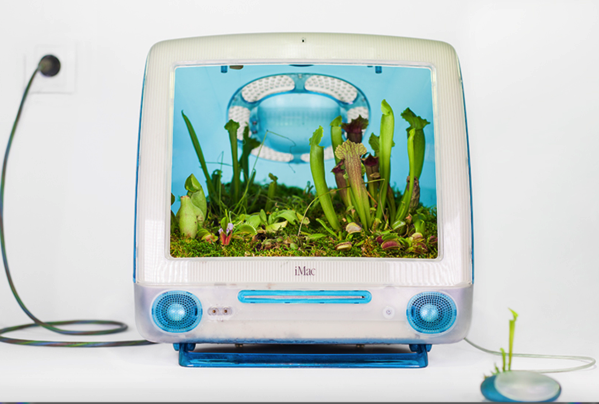 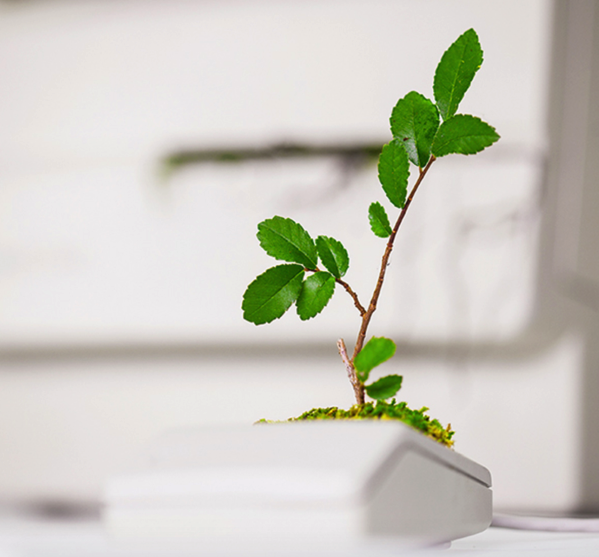 The soil and roots can be seen through where the screen used to be, while an innocent sapling grows out of the mouse.